We put all four phones from Samsung’s Galaxy S series side-by-side to see which comes out on top when they’re compared spec by spec. Samsung launched the Galaxy S series of smartphones as four slightly tweaked models across the four major carriers: Vibrant (T-Mobile); Captivate (AT&T); Fascinate (Verizon); Epic 4g (Sprint). While this makes it very confusing for shoppers, it also offers lots of options, if you’re not locked into any one carrier. 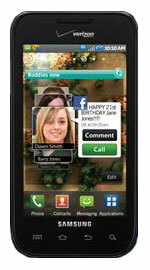 Looking at the Galaxy S line, but having trouble pinpointing the differences between the phones? We have you covered. Despite the common bloodline, all four models offer distinct features that set them apart from each other. We’ve laid out our impressions and the specifications side by side, so you can see which phone wins out in this Samsung civil war. If you’re an active social networker and video watcher, the Captivate probably makes a better choice than the iPhone 4, especially if you’re concerned with iPhone’s antenna issues. If you’re more concerned with speedy Web surfing, image and video capture, and video chatting, the iPhone 4 is the only choice. All other things being as equal as they can be (including the $199 price tag), the iPhone 4 is still the AT&T superphone champion, with performance superior in head-to-head comparisons with similar functions on the Captivate. But the margins are narrow enough not to make Captivate an uncomfortable non-Apple choice. 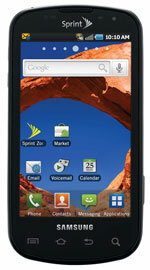 Even if you don’t or won’t have 4G service, the Epic is a flexible, light, fun and easy-to-use superphone. The Epic might be a value match for the EVO, thanks to its super-bright super AMOLED screen, slide-out keyboard and pre-installed 16GB microSD card, and even taking into account its minor operational annoyances and comparative specification failings in camera MP and hotspot connectivity. But given you can buy a 16GB microsSD card for around $25, the Epic isn’t worth an extra $50 unless you absolutely need a slide-out QWERTY keyboard. So far, the Epic is one of the best phones on the market today. 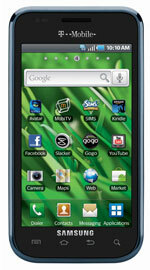 T-Mobile’s best all-around Android phone has been the Motorola Cliq XT. It has the same 5-megapixel camera as the Vibrant, only with a flash. But it’s slower for surfing and loading apps than the Vibrant, it has just a HVGA video recorder, a smaller QWERTY, less memory, and a screen nearly an inch smaller. But it’s also $70 less than the Vibrant. If you can afford it (and don’t take many indoor pictures), the Vibrant is definitely worth the extra dough. 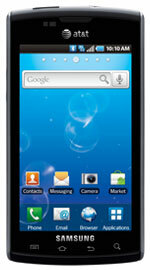 The Samsung Fascinate is set to be released in early fall, check back for impressions.